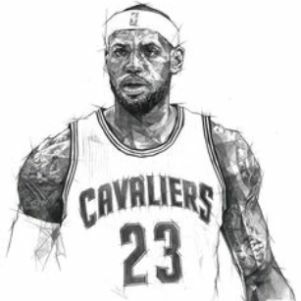 Today we are going to draw LeBron James. The process has been broken down into easy steps, so it’s no problem if you’ve never drawn before, but there’s a video on the last page if you’re really struggling. You’re going to need paper, a pencil, an eraser (nobody’s perfect) and a q-tip to help with the shading. Without further ado, let’s get started. 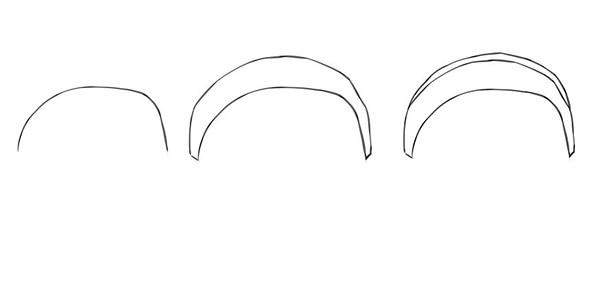 We start off with a rainbow shape, followed by another rainbow shape with both of these connected into a banana-like shape, which is going to be King James’ headband. Add another rainbow shape and we have his infamous hair.